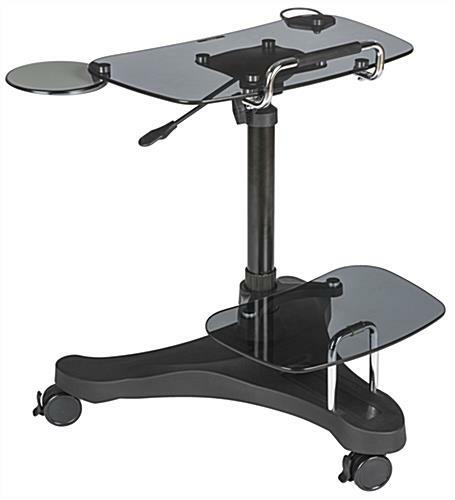 These adjustable rolling laptop stands feature a black polypropylene frame that will match any commercial or educational environment. 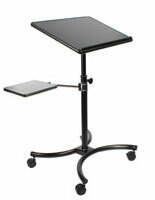 In addition, the workstations have a tempered glass countertop with an ergonomic design for extra comfort. 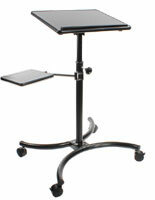 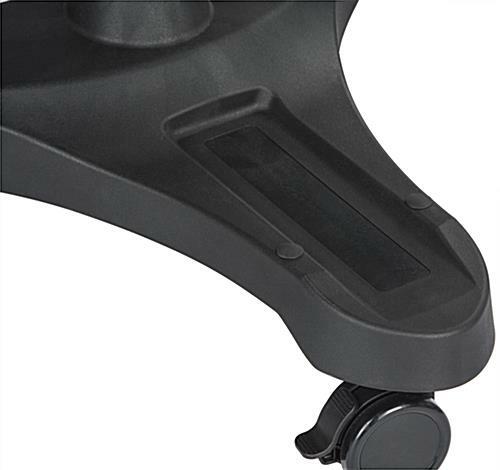 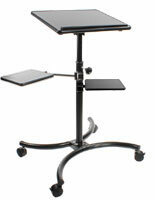 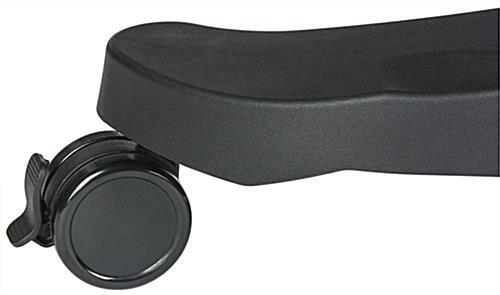 The rolling laptop stands feature three caster wheels that can lock for extra stability in high traffic environments. 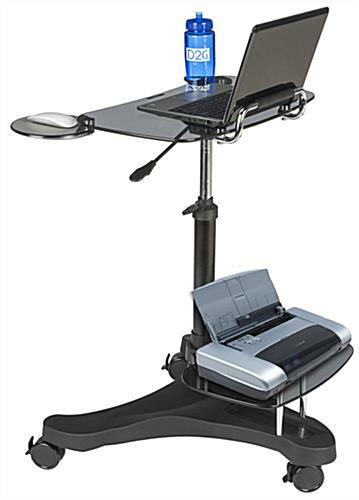 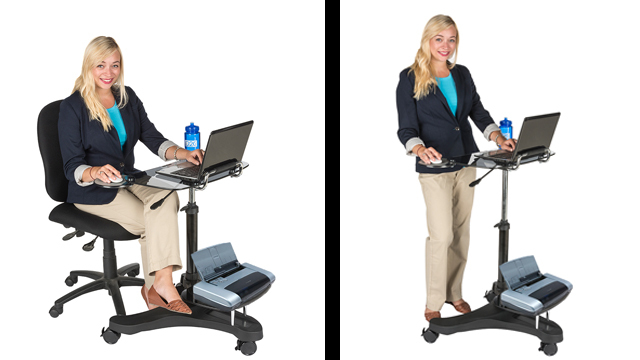 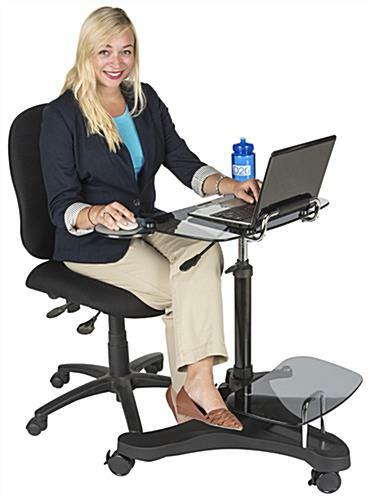 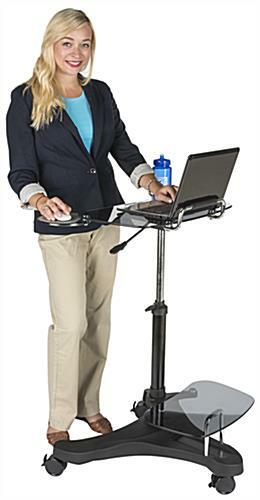 To accommodate various devices, the carts feature a cup holder, a printer shelf, and a ergonomic retractable mouse tray. 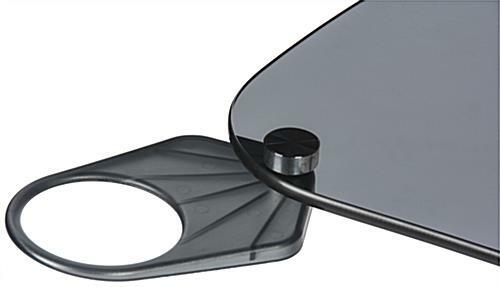 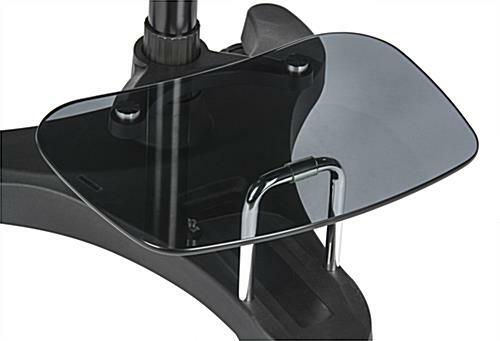 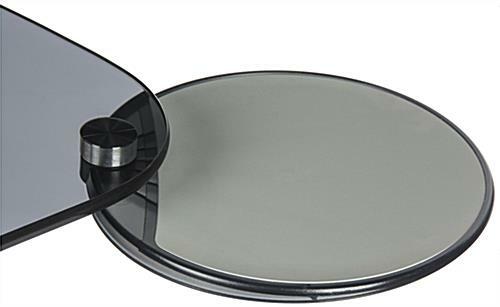 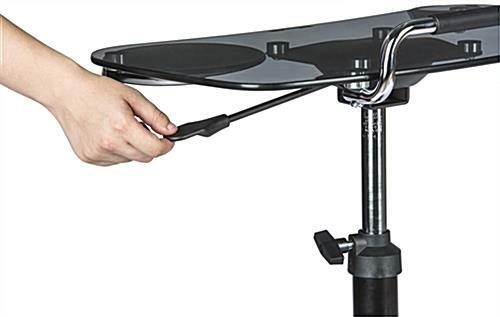 The black tempered glass laptop stands' alterable height can range between 29.9" and 40.2", allowing users to switch between a sitting and standing position. 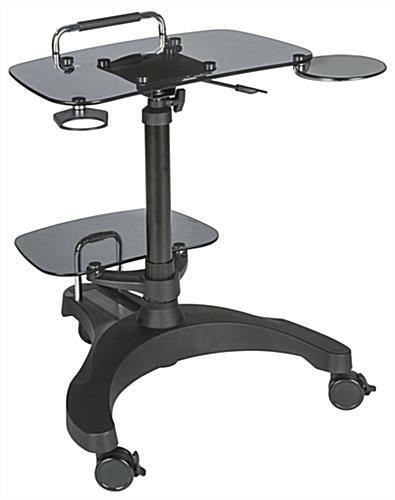 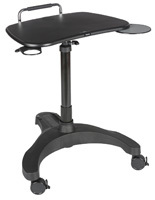 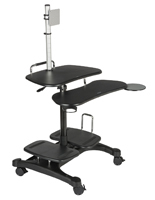 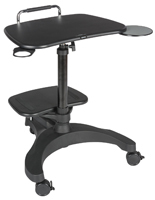 The workstations with locking casters are easy to assemble for immediate use.